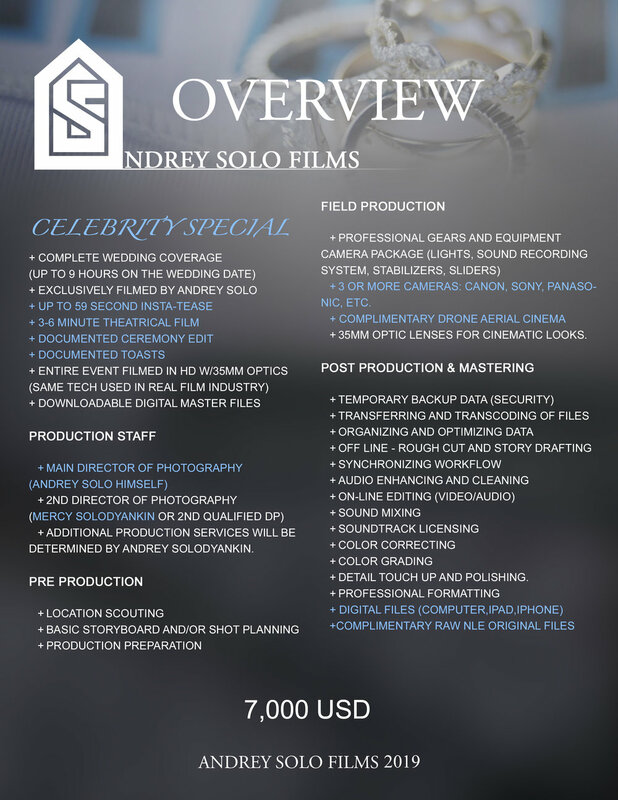 Based on working with previous newly wed or married celebrities we have come up with a unique package that they consider hot and satisfying for their wedding film needs! With the permission of the couple, we are flexible in sharing requested RAW files outside parties for their benefits. If requested, we also provide Non Disclosure Agreement Form if you want your wedding to be completely off grid.